In the French version of his book “World crisis – The Path to the World Afterwards” (Anticipolis Publishing 2010), Franck Biancheri devoted a specific passage to France dealing, in particular, with the impasse of the French centralized system and the fact that the French will hand the “bill” to the Parisian elite during the course of this decade (2010/2020). On the eve of the forthcoming French presidential election, as part of a campaign driven by numerous revelations of “affairs”, institutional drifts, illustrated by the fracture between Parisian elites and the French people, it seemed useful to recall here this analysis. 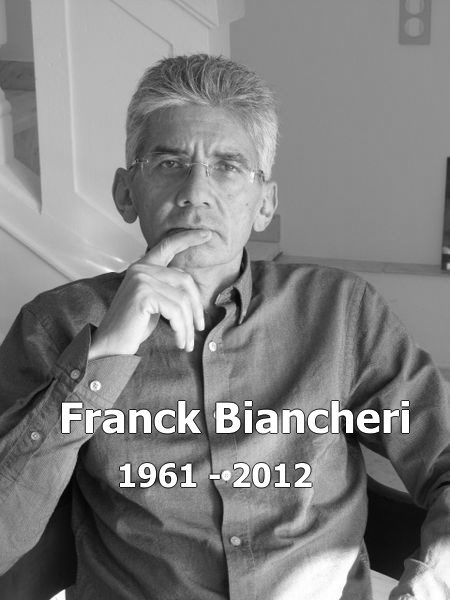 The French political situation today is the undeniable prolongation of all the “excesses” of the Sarkozy presidency (2007/2012) when Franck Biancheri wrote and published his book. Nor do we believe that it is a Franco-French problem that does not matter beyond the borders of France. This election is followed and commented with great interest by a large majority of Europeans. It could effectively seal the destiny of Europe. 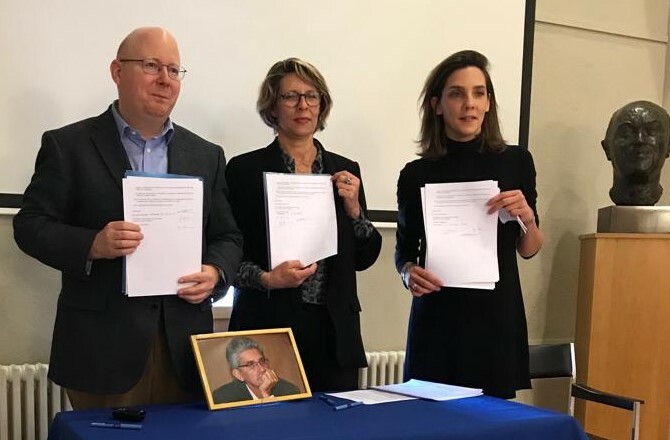 But they also understand that it depends not only on the Woman or the Man that the French have chosen, but more on France’s ability to reform itself in order to contribute to the political integration and (re)democratization of their country and of course Europe. Franck Biancheri wrote it: Get France out of the setting of the last two centuries… His brilliant insight is no longer to be demonstrated. Yet , thinking of the future, anticipating the future challenges requiring counting on a very diverse and constantly rejuvenated elite because youth is instinctively a mind enquiring of the future. And there again, French centralism which, in two decades, has become real Parisian clannishness, has created the favourable conditions to plunge into ultimate provincialism: the almost exclusive recruitment of the elite via the system of the Parisian universities have combined to limit intellectual diversity of this same elite even more. Their teachers (who in the universities come directly from the leaders’ circles) to a large extent coming from the sixty-eight group, the future elite have thus been nurtured at the core of the Anglo-Saxon model, the rejection of politics, the archetypal lazy, narrow-minded, comfort-loving salon French which goes hand in hand with the provincialism of international congresses. Intellectual desert, mercenary or castrated elite, provincialism of the capital, absence of a vision of the future,…. as regards its elite, there is no doubt France has begun this new decade very badly which it shouldn’t miss however if it wants to influence the 21 st century world. “But fortunately, one could jokingly say, we are not the United Kingdom”, thus paraphrasing Napoleon and De Gaulle when they compared France and England noting that, contrary to this country, in France the elite were often second-rate and the people remarkable. This leads to a specific recommendation to help the French, and indirectly the Europeans therefore, to face the challenges of the world after the crisis. They have “ten years to break Paris.” Furthermore, it’s not a case of destroying a city that I love enormously. But it’s to get France out of the setting of the last two centuries, this setting which is truly in the course of exploding worldwide under the effect of the crisis. So that five hundred million Europeans, and sixty five million French people at their core, can get to play a comparable game with the Chinese, Indians, Russians or Americans, it’s going to have to reinvent itself according to the new world game which materializes and which has been broadly described in the first part of this book. To equally avoid a “takeover” of Paris, as took place with the Americanists in the middle of the last decade, it is essential to end this centralized pyramid model which allows any major power (and the world will now be full of powers much larger than France) to easily take control of the main levers of power in the country. Polycentrism, which is also one of the ways forward for the EU institutional structure on the 2020 horizon, is a natural choice to maintain a unified state while increasing the pillars on which it rests. We must not only diversify the recruitment of the elite , but also and especially their training and intellectual and cultural environment. And it’s a task that doesn’t stop with the end of one’s studies. The wealth of France is its diversity. The weakness of France, is its elite’s lack of diversity which thus makes them very susceptible to the first intellectual virus that shows up. The network of high speed trains is itself a map of likely homes for state institutions: Lyon, Marseille, Bordeaux, Toulouse, Lille, Strasbourg, etc.. are intended to accommodate large state institutions: Court of Auditors, Constitutional Council, Ministries, etc.. Even Parliament could effectively move, for example to Lyon, once the capital of Gaul and much more central than Paris. Germany works like that, and its State, whilst federal, is much more efficient than the French one in many ways. And a not inconsiderable detail, its press is richer, more democratic, more widely dispersed geographically. Thus there are regional elites that provide a truly varied sustenance to the national elite. This prevents the easy takeover of the levers of power by the installation of a small local coterie as was the case in Paris. In fact, Paris has to suffer the same fate as Brussels which, to allow the EU to become a truly democratic and genuine power, must also be “broken” and see its European institutions spread across several European capitals, as analysed above. Moreover, in such a context, Paris could be a serious candidate to host the European executive during the 2020 decade, especially Euroland’s economic government. But there again, France must no longer be summarized as Paris! It’s the only way to reduce the French state’s now unsupportable inefficiency by addressing the real source of its unnecessary excess costs, namely its Parisian “head”. The main cause of the country’s budgetary waste is in the ministries’ central services, at the head of these overstaffed hierarchies that populate the capital’s central districts. It’s not the country post office and postman that are expensive, nor the simple soldier or college teacher; what costs a fortune and which very often serves no purpose is the multitude of managers, general managers, advisers and other inspectors of all kinds who have a string of wages, allowances, bonuses and other benefits of office without bringing any added value whatsoever to the national community: above all they serve as sinecures and golden resting places for the different clans of Parisian power. Radical reform can only take place by setting an example, that requires the most powerful, the senior hierarchy, to first of all apply to themselves the rules to which they want to subject others. It’s not even anything to do with democracy, it’s a matter of managing human groups and effectiveness of collective action. The servants of the national interest, and there are many in the administration, know that well. However the current Parisian elite do exactly the opposite, daily displaying a counter-example by their addresses on effectiveness and individual effort to serve the collective interest. There isn’t even a need to give examples anymore, because there are so many. Yet, it’s an effective State of which we have an urgent need to successfully confront the challenges of “the world after” which will, in particular, require the Civil Service to be reactive, able to build trans-European public service networks to bring Europe and the common good together and even to adapt themselves to rapidly changing international conditions: this example will thus have to come from above to change the State machine.